Photo courtesy of Charles Reynolds. 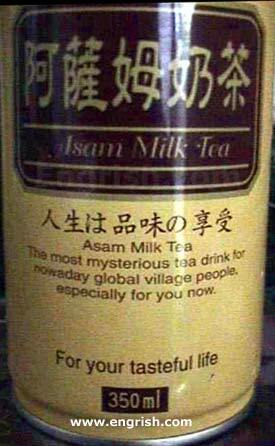 Wow, now that’s a drink that I, a global village people, can partake in with confidence nowaday! and just what are the ingreidents? Hmmm…. milk tea. I think banana-ketchup medley would go well with that. for all your calcium and herb needs! – Mommy! I want to milk tea! What connection does this have to the Village People? How mysterious!